I promised in my last post to talk about what I did differently for this show. It improved my results, even if only by one sale! 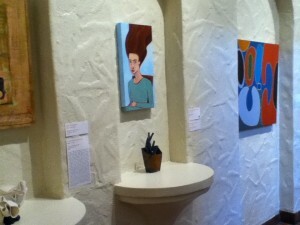 First, a little bit about my first foray into the gallery show scene. My first true gallery show was with Art Access Gallery in February 2014. They accepted my proposal just after my first acceptance in the Springville Museum of Art’s Spring Salon in 2013. (The Spring Salon is a HUGE show here; very competitive and prestigious in-state.) I was riding high on my early successes, and giddy from the glow. I had no list. I was relying on the gallery’s ability to draw traffic. I didn’t want to bother friends, family and neighbors with my gushing excitement, so I didn’t go out of my way to tell anyone. I didn’t want to bother my Facebook friends with incessant posts about it so I only posted about it on my Facebook feed once before the show, and once during, linking to a review. I posted about the show a bare handful of times in my LiveJournal blog before the show opening, but my readership there was S-MALL. I posted twice about my show on my Facebook artist page. I just expected people to show up and love my stuff, and my stuff would sell itself. I had a bare handful of people come that night specifically for my work. People who I’d talked to personally about the show, or who were paying enough attention to my Facebook feed to notice when I mentioned that the show was coming up. The gallery got plenty of traffic opening night. I stood eagerly by my paintings (grouped together on a moveable wall in the center of the room). I said “hi” to anyone who paused to look at my work, but didn’t know what else to say. I didn’t want to be obtrusive. I went out of my way to introduce myself to the other artists who were part of the exhibit (there were five of us) and engage them in conversations about their work, but only one of them seemed willing to talk. I had no sales that night. And at the end of the show’s 4-week run, I brought all my paintings home again. 1. No one will come if you don’t talk about it. They don’t know it’s happening unless you say something. And it turns out, far from being bothered by your excitement, they’re more likely to be excited WITH you! I had to learn the hard way that my friends and family are my early support. In advance of my second show, I gave myself permission to bother them. They shouldn’t just be added to a marketing list without being asked, but I found that when I asked them, they really wanted to find out when things were going to happen. 2. Not everyone wants to hear about it the same way. Not everyone has a Facebook profile. Not everyone is on Twitter. SOME PEOPLE DON’T HAVE EMAIL. If you want a specific person to know about your show, you have to go to where THEY are. Which is why, a week before my show, I was walking around the neighborhood with postcards I’d had printed at the corner copy shop, delivering them personally to neighbors for whom I had no email, and who I knew wouldn’t see what I was posting on my social media feeds. The more avenues of information you use to inform people, the better off you will be in the long run. 3. In the beginning, nobody knows who you are. In the art world, collectors invest in art. Some collectors are chasing the next new big thing, and will buy work they don’t even like, if they think its value will increase over time. 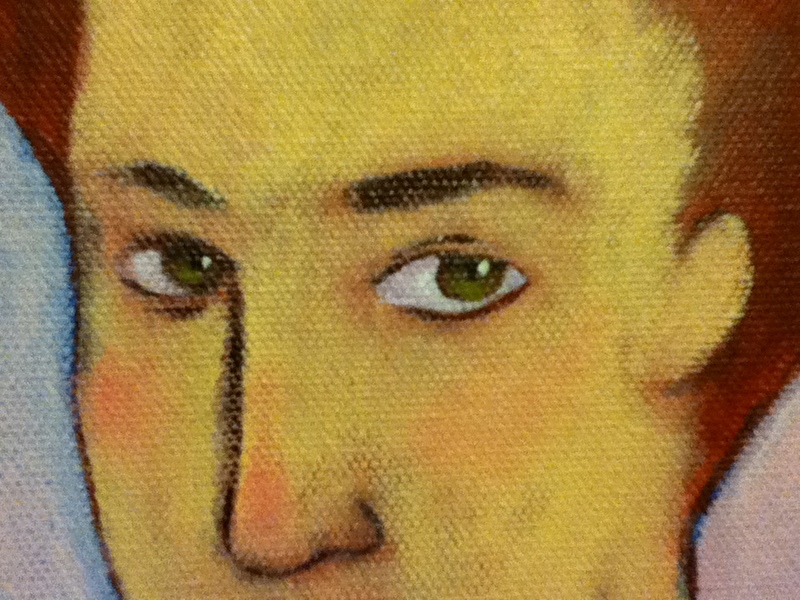 If you are a new name — an emerging artist — they aren’t looking for you. Investment collectors want something with staying power, and you haven’t proven that you have it yet. I found, though, after my first show, I participated in some other events at the same gallery, and… people remembered me. They remembered my work and my style. More than one said they liked it. And one even bought one of my other pieces. 4. People need to hear about it more than once. In this information age, we are bombarded with so much information our brains can’t hold onto it all. If you only tell people about something once, they aren’t going to remember. This time around, I posted about the show as soon as I was accepted, and again once I had all the details and information. When the gallery posted something about the show, I linked to it. I reminded Facebook and Twitter followers about the opening a week before, the day before, and the day of. I mailed out postcards to people who were farther away — not expecting them to be able to come, but thinking they would still be interested to know it was going on. Did I do amazing? Well, no. I had one sale. But I am so excited about that one sale! It’s something to build on for the future, and that’s worth being excited about.